Nightmare on Elm Street Slots new to Moon Games ! This terrifying slot deals out the biggest bloody jackpots! Escape Freddy Kreuger, slaughter this slot & make a killing! 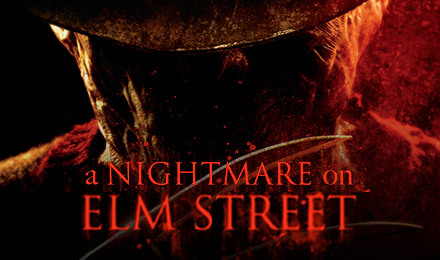 Play Nightmare on Elm Street Slots if you dare! This spooky 5 reel 30 payline slot game has some big jackpots if you're brave enough to face Freddy Krueger to get them. The game features some terrifying and realistic 3D graphics you've never experienced before. Real footage from the hit movie plays while you're spinning, so if you can stay away from Mr. Krueger, you're on your way to winning some mega prizes, such as bonus games and 2 jackpots! The slot game's music will keep you checking over your shoulder while the visuals will keep you alert and wide-eyed! Land on the expanding wilds to increase your odds of winning and you'll get free spins if you can line up the scatter symbols. Muster up that courage and spin to win today!